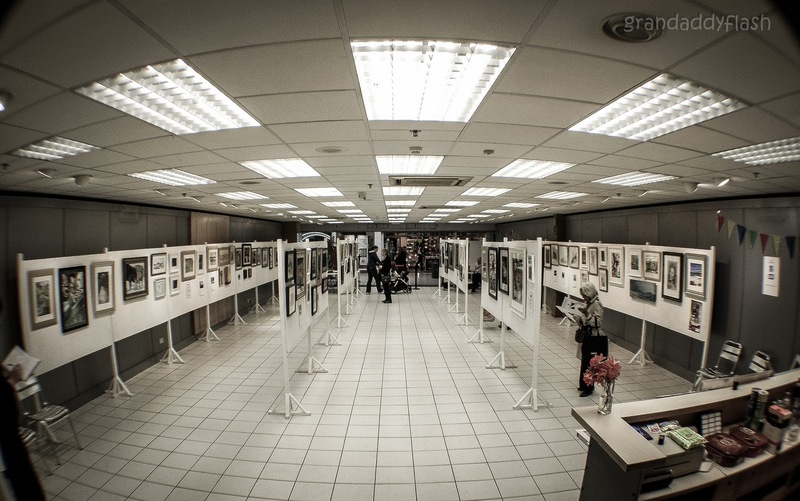 Aside from the theatre productions and folk music gigs, one of the most anticipated event at this years' Tryst Festival was the 49th Annual Exhibition by Falkirk and District Art Club, where members offer up their best examples of illustrations, oil and acrylic paintings and wood engravings. Following in the footsteps of the pop up art space on Falkirk High Street, the Art Club are found residing the white, open, and very bright contemporary space of a vacant retail clothing outlet in the Howgate Shopping centre. The exhibition is presented in the classic salon style, in which the artwork on show appears to be hung in a first come first serve manner, paintings of wild animals are seen to be roaming through magnificent highland scenery and Mediterranean landscapes where 70's music icons David Bowie and Bryan Ferry can be seen to be relaxing. The work on show explores the vast interests of their memberships, studies of family pets in which the artist tries to capture a life like image on the canvas to thickly layered abstract oil paint compositions. As expected from an art group's exhibition there are a lot of different styles and ability on show, which forces the viewer to realise this exhibition is not declaring to the world, we are here, come see how awesome we are,but designed to simply raise the awareness of one of the few fine art based clubs in the District, which comes across as refreshing, fun and honest. 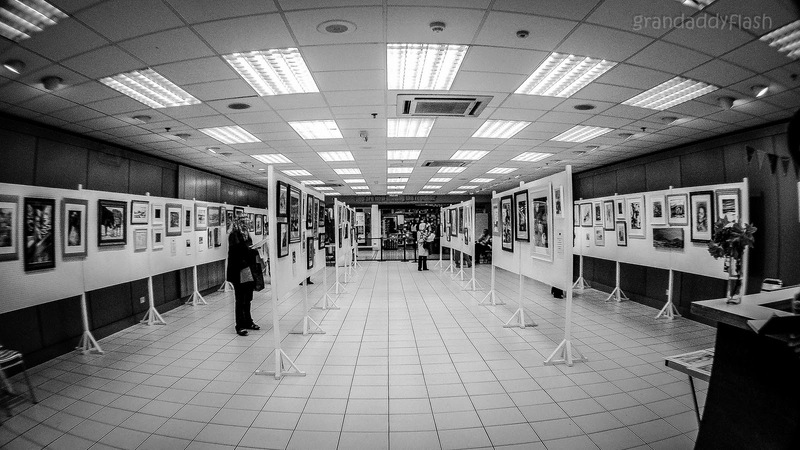 Moving out of the advertised location, Falkirk Town Hall, suggests the main motivation of this exhibition is to get as many people through the door regardless to whom they may be or their interests, the more eyes on the work the better, the impression is given that group will judge this exhibition solely by how many turned up. Conflicting with the venue stated in the Tryst Festival brochure the group have fallen on a double edged sword, rejecting the advertising and promotion that comes with being featured in a catalogue and the professional venue and dedicated audience that the Town Hall boasts, in order to attract a wider audience of shoppers who have not come out for the purpose of visiting Falkirk Art and District Art Club. The true success of this exhibition shall be seen in how many of the numbers are transformed into new members the club attracts and not how many people attended or entered a prize draw. Over all the work on show at the old Republic shop was one of a high quality, the mix of styles and media used demonstrates how diverse the Art Club is and it's ability to nurture it's members. Although the focus on attendance is a little off putting the venue has shown to be a perfect suit in the exhibition of paintings and drawings as the spacious and airy location showed the work off in the best light.